It’s easy to think of safety training in the context of the machines and potentially dangerous settings of the industrial workplace. But aside from learning how to safely use all the equipment required by our jobs, two additional areas of focus should also be added for successful safety planning for any organization: accident investigation and disaster preparedness. The time to prepare for a disaster is before it happens. Careful planning saves lives, limits injuries and controls damage, while returning businesses to normal operations more quickly. 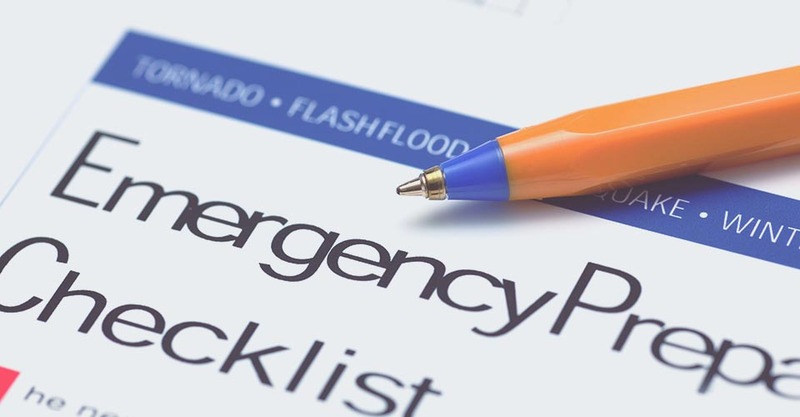 The foundation for your site’s response to a disaster is the emergency action plan. The plan details actions you and your employer must take to ensure everyone’s safety in an emergency situation, such as a disaster. As part of the planning process, a wide variety of potential emergencies that could occur in your workplace are evaluated. The emergency action plan provides procedures to follow if a disaster strikes, including: how to report fires and other emergencies, when and how to evacuate the workplace, designating emergency escape routes, plant shut-down procedures and who will implement them, fire fighting responsibilities, and identifying those responsible for rescue and medical duties. Preparedness training should include the procedure for reporting an emergency at your site. Employees should know the emergency phone number or radio frequency for reporting and be able to recognize the alarms used to notify when an emergency is occurring. In addition to showing the safety evacuation routes in your facilities, evacuation maps or floor plans should also mark the location of emergency equipment, such as fire fighting equipment as well as eyewash and safety showers. To be sure the emergency action plan will work when a disaster strikes, each element of the plan should be practiced. Run a mock emergency event to test procedures and be sure to take an active role when required. When an accident occurs, it may seem that the reasons are obvious – but the cause (or causes) of an accident is almost always more complicated than it first appears. It’s important to sort through all the relevant information in a methodical, professional way – because it’s only by tracing back to the original source problem that permanent safety solutions can be implemented so that similar accidents don’t occur in the future. The purpose of an accident investigation is not to assign blame, but to figure out where hazardous conditions exist so that they can be eliminated. Because the goal is prevention, accidents are not the only time an investigation should take place. Incidents are “near misses” where someone could have got hurt but, fortunately, didn’t. A near miss is a warning that, if safety improvements aren’t made, employees are at risk for injury in the future. For this reason, incidents should be taken as seriously as accidents, and should also be investigated to discover where safety improvements must be made. Using barricade tape, rope, or warning signs to keep others out of the restricted area. Having an investigation “took kit” prepared and ready to go so that no time is wasted gathering the necessary materials when you begin your investigation. In this tool kit, typical items can include: pen and notebook, camera, recording device, a measuring tape, barricade tape, plastic vials with caps, graph paper, accident investigation forms and telephone numbers, and PPE. Look for several types of evidence – including physical evidence, position evidence, and environmental conditions. Taking notes of your observations, along with making photographs and sketches will help you fully document the scene. If possible, take photographs before anything is moved. Use existing records in your investigation. Though often overlooked, they can be a source of valuable background information. Technical data sheets, maintenance records, past accident analysis reports, employee records, training records, standard operating procedures, material safety data sheets, job safety analyses, company policies, health and safety committee meetings – depending on the type of accident and the circumstances surrounding it, any of these may provide relevant information that should be studied for clues about the causes of the accident. Explore the Summit course catalog for more safety training programs.